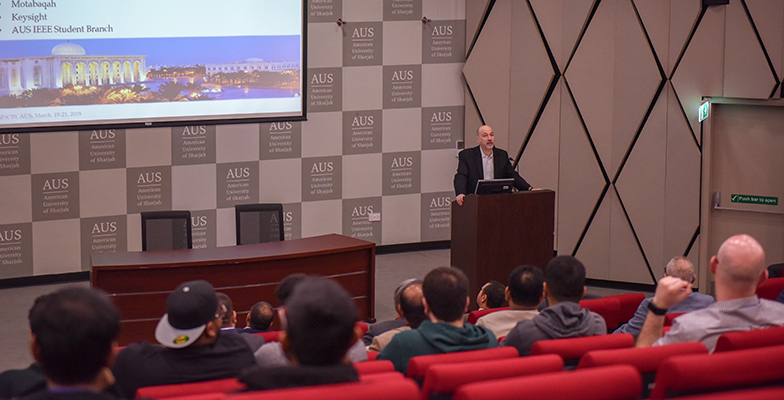 Academics and industry experts from around the world came together to share their latest research and findings at the 2019 International Conference on Communications, Signal Processing and their Applications (ICCSPA’19) that began on March 19 at American University of Sharjah (AUS). The aim of the three-day conference was to provide researchers and practitioners with a platform to present their research work as well as to network with colleagues from different regions. The event covered a wide range of topics related to wireless and mobile communications, 4G, 5G and beyond wireless networks, cognitive radio systems, cooperative radio, multimedia communications and networking biometrics, image and video processing, biomedical applications and compressive sensing, among others. The conference, which included two keynote addresses, five invited talks, and nine technical sessions, featured 41 papers presented over the course of the event. 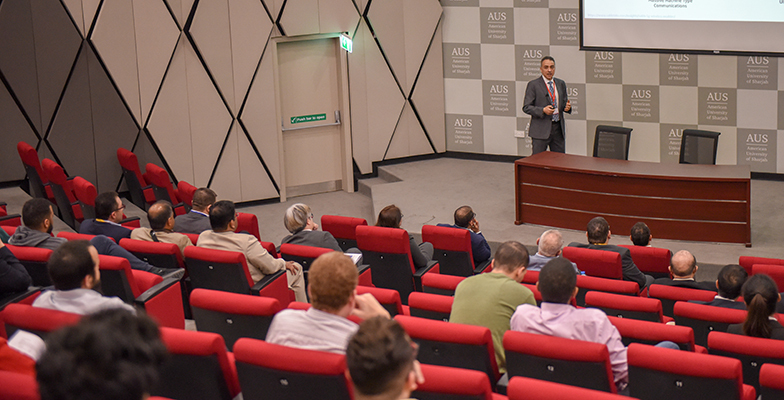 The first keynote address on the opening day of the conference was delivered by Professor Hossam Hassanein from Queen’s University School of Computing, Canada, and was entitled Collaborative Caching in Next Generation Wireless Networks. Professor Kainam Thomas Wong from Beijing University of Aeronautics and Astronautics, China, delivered the second keynote address entitled Polarization in Wireless Communications and in Wireless Sensing. The five invited talks as part of the conference included: 3GPP 5G New Radtio Technology Overview, Deployment Scenarios and Keysight 5G Workflow Solutions, by Ashish Jain from Keysight Technologies; The Relevant Capstone, by Dr. Abd-Elhamid M. Taha from Alfaisal University, KSA; Non-Linear Device Characterization and X-parameters, by Vishal Gupta from Keysight Technologies; GNSS Signal Processing and Future Applications, by Dr. Mohamed Tamazin from Arab Academy for Science, Technology and Maritime Transport, Egypt; and A Platform-Based Approach to Advanced Wireless Research by Michel Nassar, National Instruments. 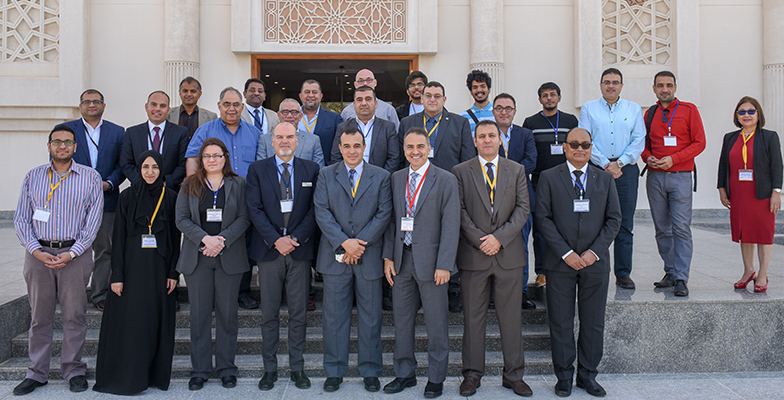 The conference, which was sponsored by IEEE, Keysight Technologies and Motabaqah Trading, continued through March 21.